we provide all-round, one stop solutions covering all aspects of ship repair and conversions. Our flexibility and know-how attract customers from all over the world. 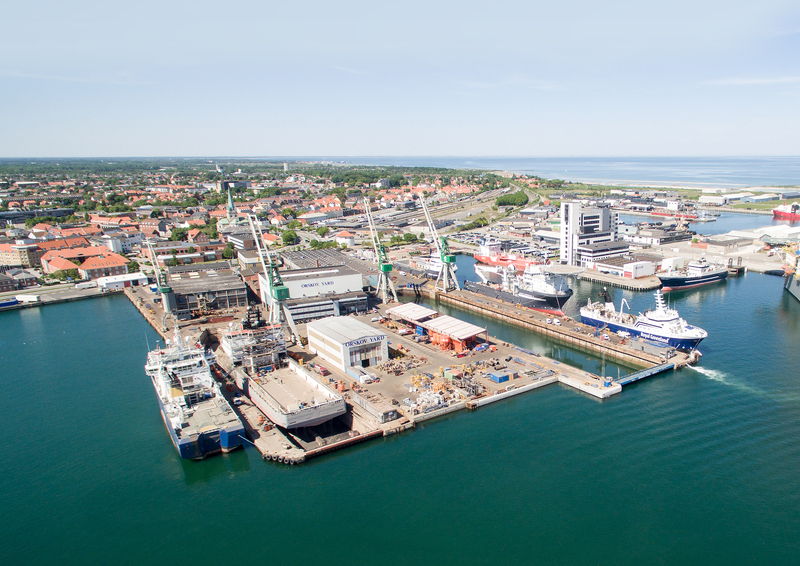 Orskov Yard look forward to welcoming you in Frederikshavn. We have the capacity, the facilities and the expertise to engineer and execute all types of steel constructions, piping systems and mechanical services in accordance with customer requirements – always meeting the highest quality standards. By signing up you will receive our newsletter approximately 4 times a year. between details and contacts at ORSKOV YARD. during your stay in Frederikshavn. measurements on our docks, quay and cranes. A great tool for future guests. App Store and Android Markets. Lars Fischer is appointed CEO at Orskov Yard A/S. The family behind Orskov Yard has decided to make a change in the yard’s organization based on the great investment in a new dock, and a strategic goal on further expansion and the strengthening of the yard. Lars Fischer is appointed CEO of Orskov Yard by March 1st. 2019. Christina Ørskov continues as Director and member of the Executive Board.